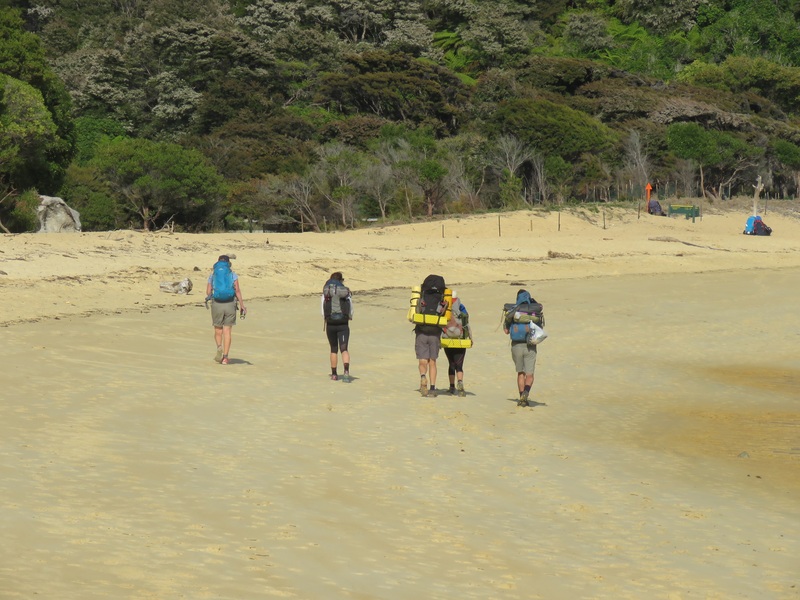 The spirit of conservation seems to be ingrained in Kiwi culture, and I found myself reflecting often on why this must be while hiking the Abel Tasman. The landscape on this island is so dramatic and dominating. While the proportions of New Zealand are not particularly large in comparison to the U.S., this country packs a lot of bang for your visual buck. 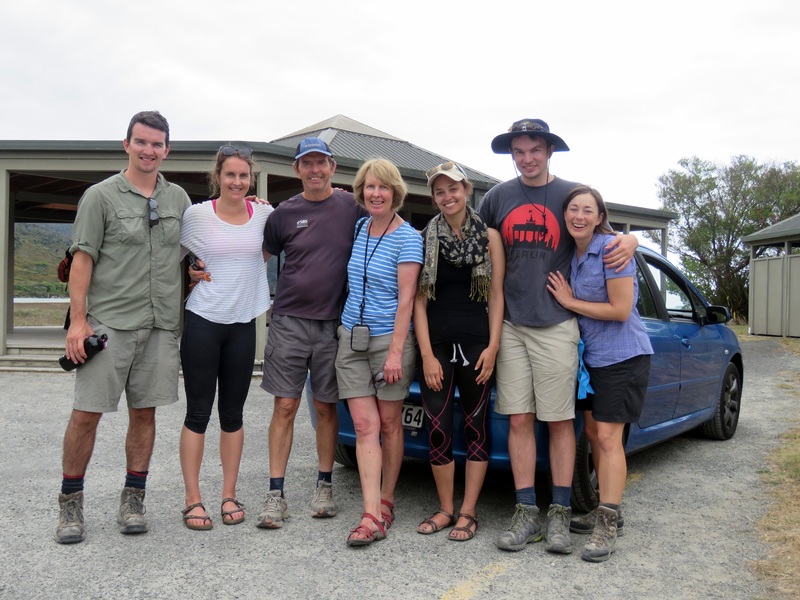 It’s impossible to miss the grandeur of the scenery, and I think this – in combination with an indigenous culture that is still very much present and respected – plays a big role in the placement of conservation in the front of many Kiwi’s minds. 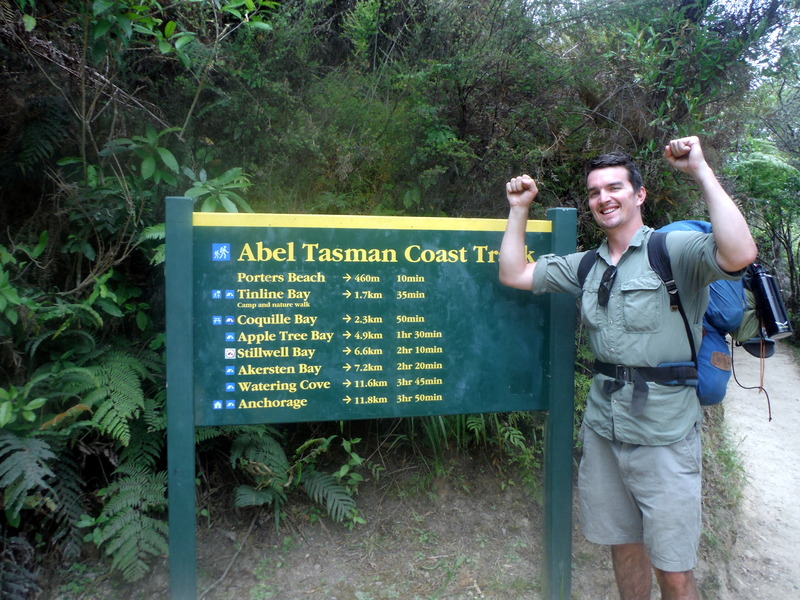 Recently, one of the privately owned pieces of land within Abel Tasman National Park came up for sale, and a crowdfunding website was set up to try and purchase it for public use. Over 33,000 people contributed to the fund, successfully raising the $2 million dollar asking price. It remains to be seen whether this amazing offer will be accepted, but it’s pretty impressive that so many people would come together and donate without any specific benefits promised other than a general access to the public. I can’t imagine a movement to purchase land to donate to the National Park Service gaining that much traction in the U.S. (but then again, who knows? Let’s try it!). 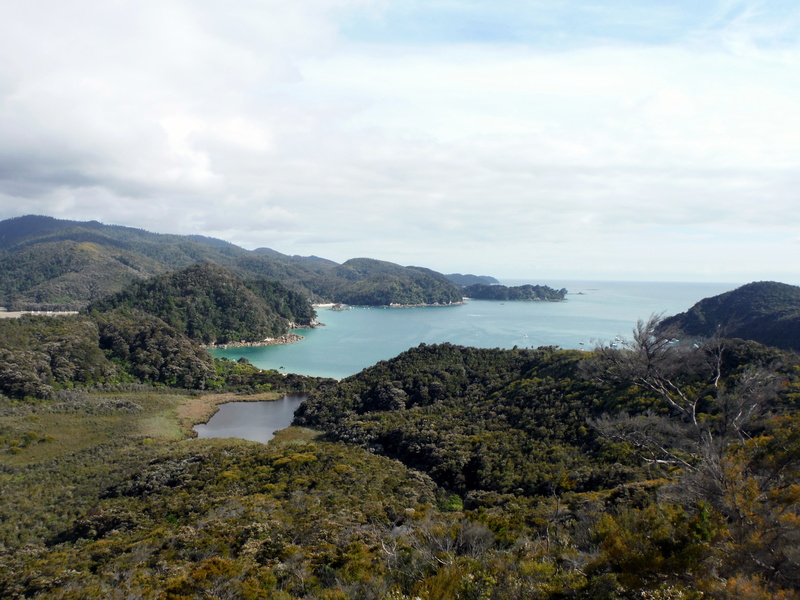 Still, along the bays of Abel Tasman National Park there continue to be pockets of private land where homeowners keep vacation homes that are not open to the public. 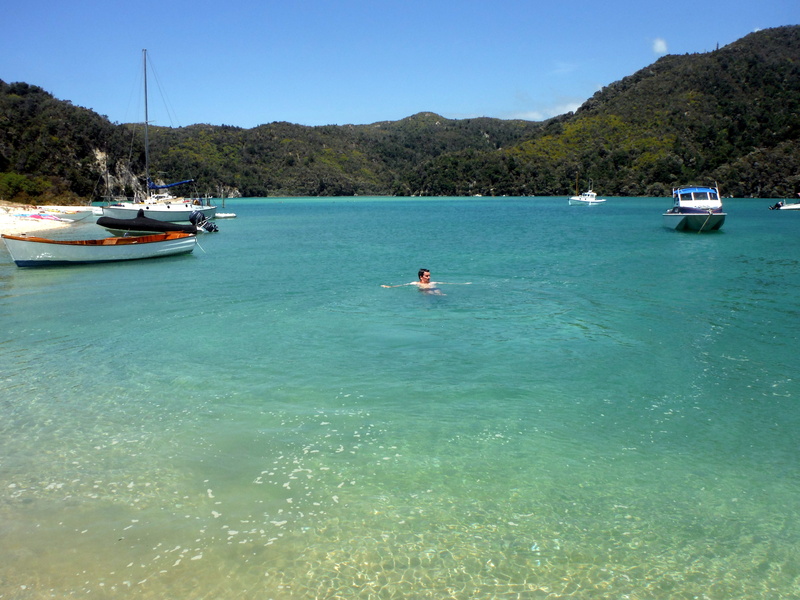 Torrent Bay is an example of one of these pockets. Coming out of the woods and onto the beach we noticed many houses built back behind the shoreline. There were dirt roads in the bay and residents traveling the small settlement via ATVs. There was even an ice cream stand (which was very difficult for this addict to pass by on this sunny afternoon without making a stop)! I don’t mean to criticize any of this, by the way. But it was a bit shocking, after a day and half in the wilds, to so suddenly come upon a populated place. Even so, we happily made use of the running water taps and shade shelters constructed along the dock for our lunch. 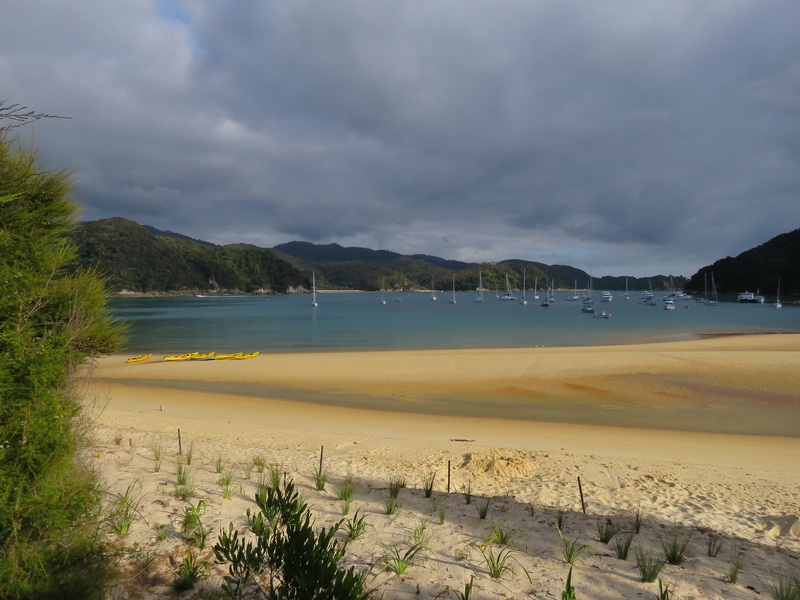 Our camp for the night, Anchorage, was only the next bay over – so close we could actually see it from many spots in Torrent Bay. 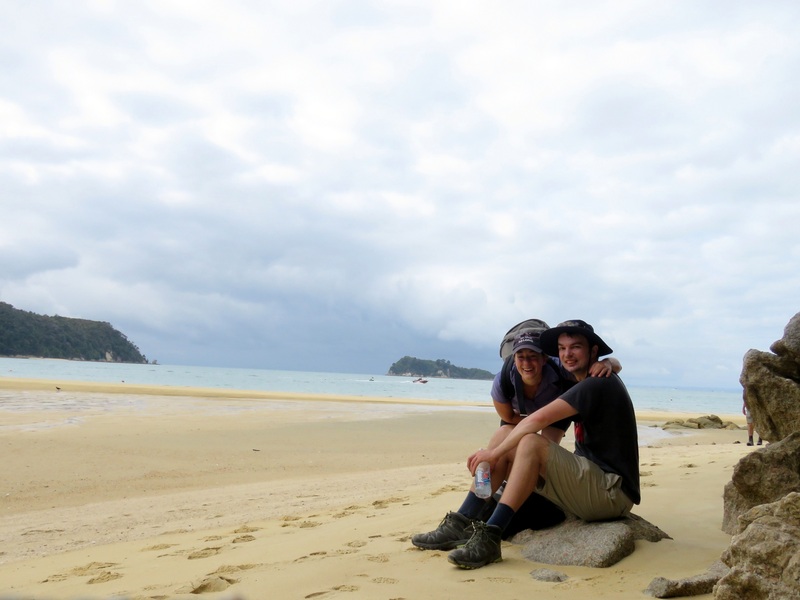 But our schedule did not match the tides, so instead of a quick walk across a dried flat, we were required to walk several extra kilometers around the large and quite full estuary. I didn’t mind. It was beautiful. We were greeted on the beach in Anchorage by members of Tom’s extended family who had been vacationing in nearby Kaiteri. They came with a speed boat and generously shared with us their leftover lunch. 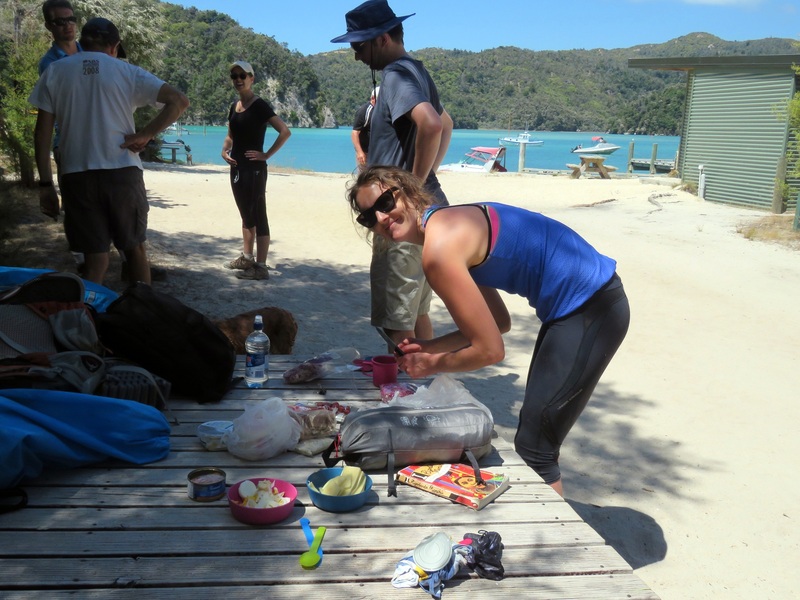 After setting up camp, we lounged on the beach with them catching up and eating fruit and enjoying the sun. 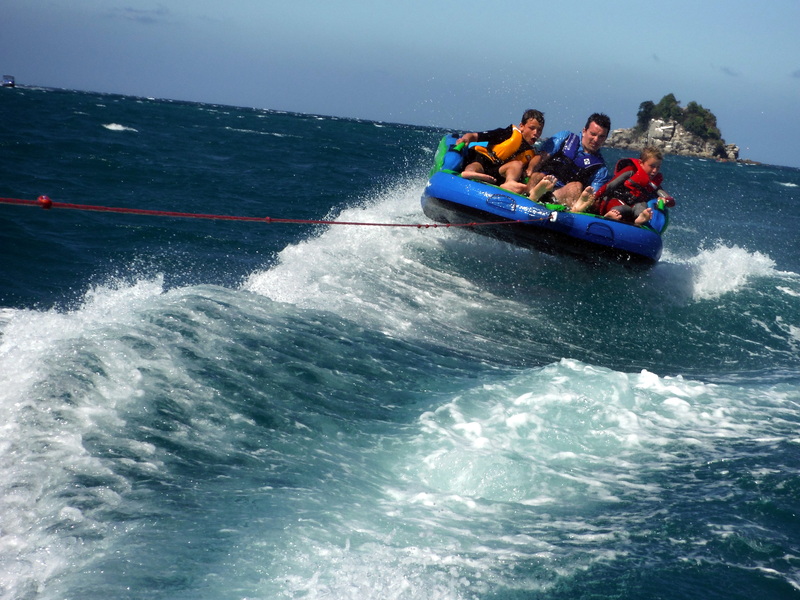 Several of Tom’s young cousins and their friends came with the crew, and they were having a blast tubing off the back of the speedboat. Tom was quick to join them when the opportunity presented itself, of course. 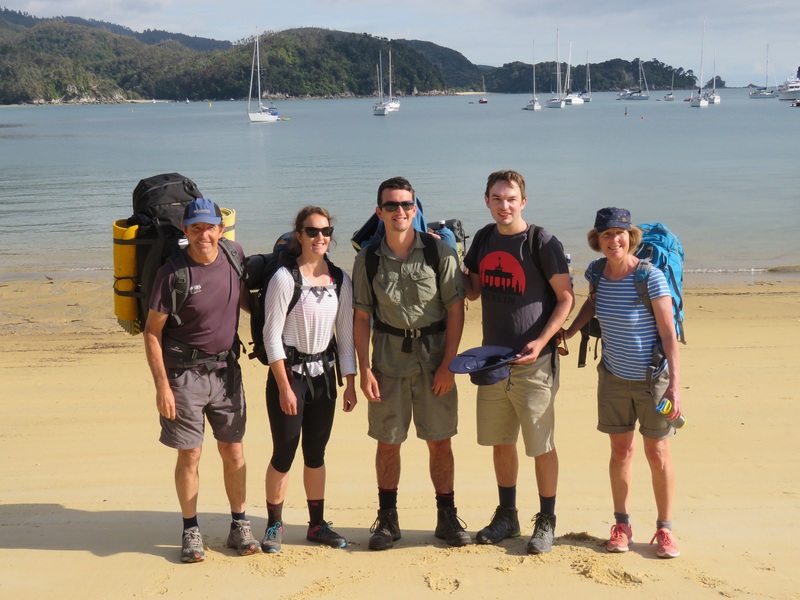 As the afternoon went on the winds picked up, so we said goodbye to the family as they loaded up their boat to head back to Kaiteri before the waves got too choppy. We returned to our cozy camp nestled in the woods above the beach to relax and prepare our dinner. 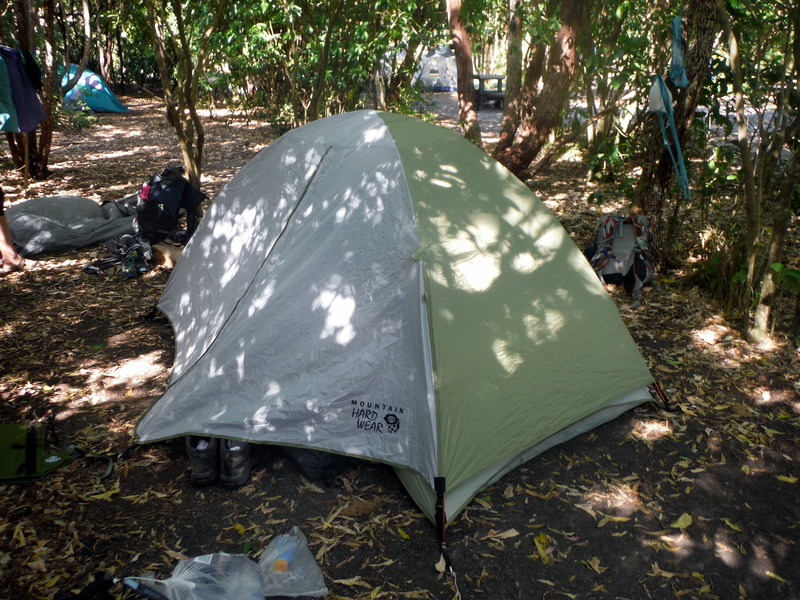 The camp at Anchorage was much bigger than the one at Bark Bay – but from our spot in the trees it felt secluded enough to merit our long hike while still allowing us the feeling of community one naturally belongs to when sharing a trail. As the dinner crew worked, a park ranger stopped by our group and pulled Tom’s mom away. It happened very suddenly, and we all began to worry that something was up. We had forgotten our permits at the house back in Sumner, and so we had had to talk our way into camp each night to begin with. So far, park staff had been very understanding and accommodating. But had something changed? It felt like a long time before Ronene returned to the group (though in reality it was probably only 15 minutes or so), but when she finally appeared it was with a large box in tow. Apparently a water taxi had dropped it off on the beach some time before. It was a package from the friends we had visited with the night before we started the hike! Knowing that this was the last night of our trip, these lovely people anticipated that we may have been low on food. 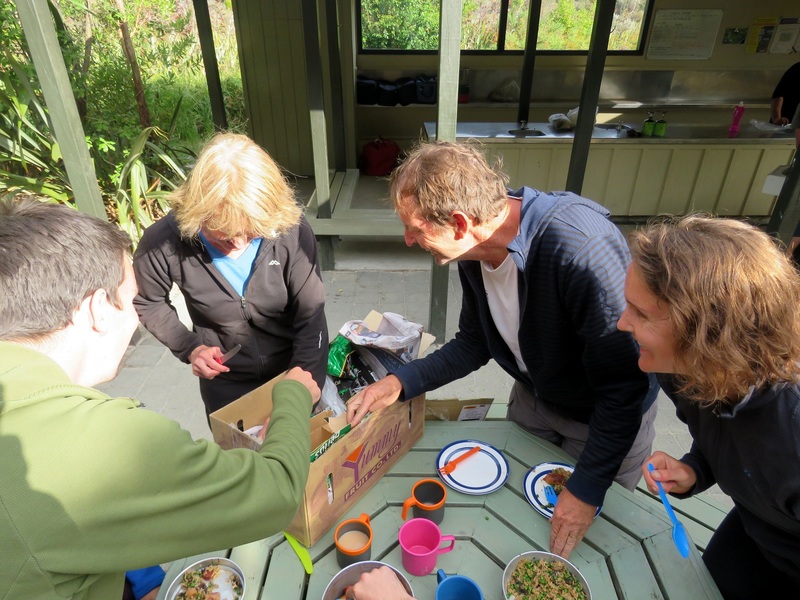 So they packed the box full of goodies – hardboiled eggs, fresh apricots from their tree, nougat candies, and homemade banana-apricot muffins complete with candles to sing a ‘happy birthday’ to Ronene (this entire trip was in her honor, remember)! 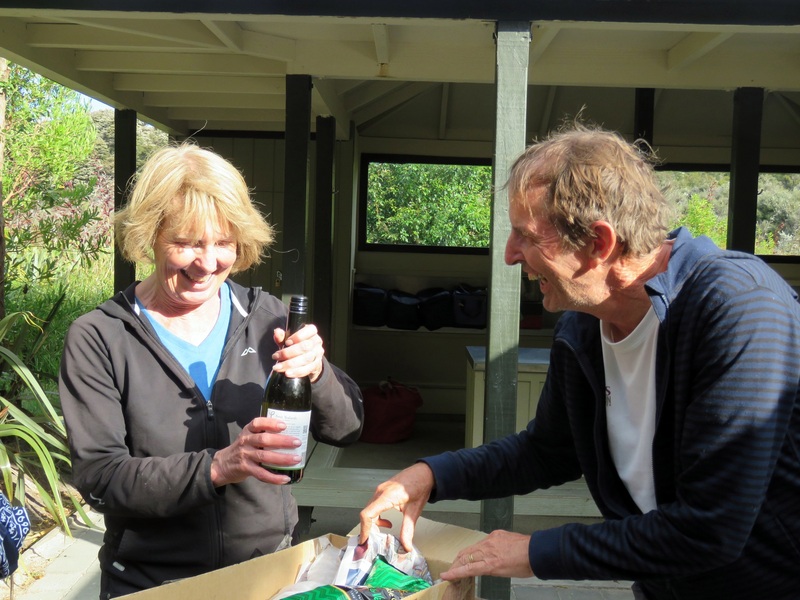 And the best surprise of all – a bottle of wine! 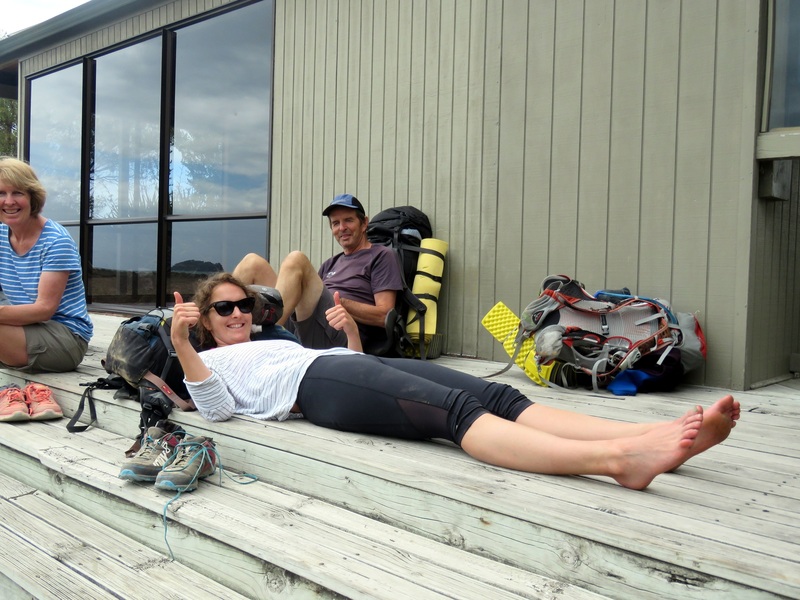 It’s hard to explain the joy that this little surprise brought all of us weary hikers, but our cheers drew the attention of the entire camp, many of whom stopped by to look on enviously or cheer along – especially upon discovery of the wine. 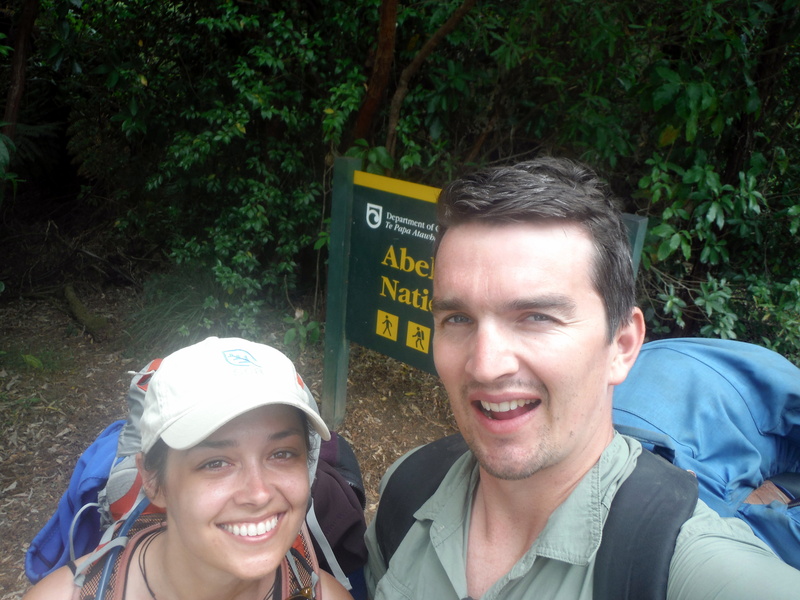 Our bellies so wonderfully full, we climbed into our sleeping bags for our last night on the Abel Tasman Coast. We awoke in the morning to the most beautiful chorus of songbirds. Apparently the same trees that made us feel so secluded in our campsite were home to a large population of early-morning singers. It wasn’t the worst way to start off the day. 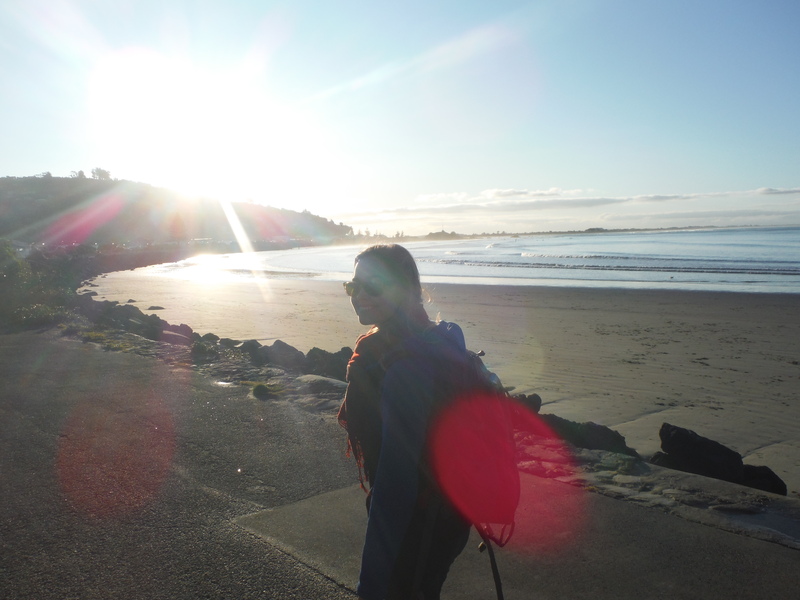 Before leaving for our last day’s hike, we lingered on the beach for the first full family photos in quite some time. By the end of the day we would all be heading our separate ways again, going to our different corners of the region and even the world. But this morning the Kellands were together – a moment all too rare, but deeply treasured. We had underestimated our travel time quite a bit on our last two days, arriving into camp much later than we had anticipated. So for this last day, we had sent a message with the family who had visited us to tell the friends who would be bringing our cars to the end of the trail to show up an hour or so later than we had originally planned. Maybe it was that the first and only cloudy day of our trip made for a cooler temperature and so faster walking. Maybe the previous night’s big dinner provided us with extra fuel. Maybe we were just all really eager for a shower. For whatever the reason, we made fast time on that last day, stopping only once for a quick snack and bathroom break before continuing on. 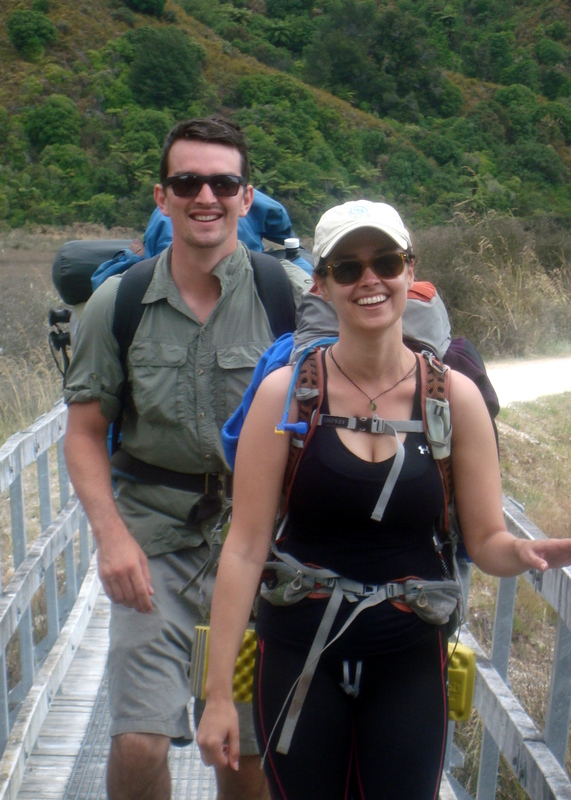 We could see the town of Marahau in the distance for almost the entire second half of the hike, and our pace stepped up as the crowds thickened. The increasing number of day-trippers was a welcome clue that the park boundary was near. 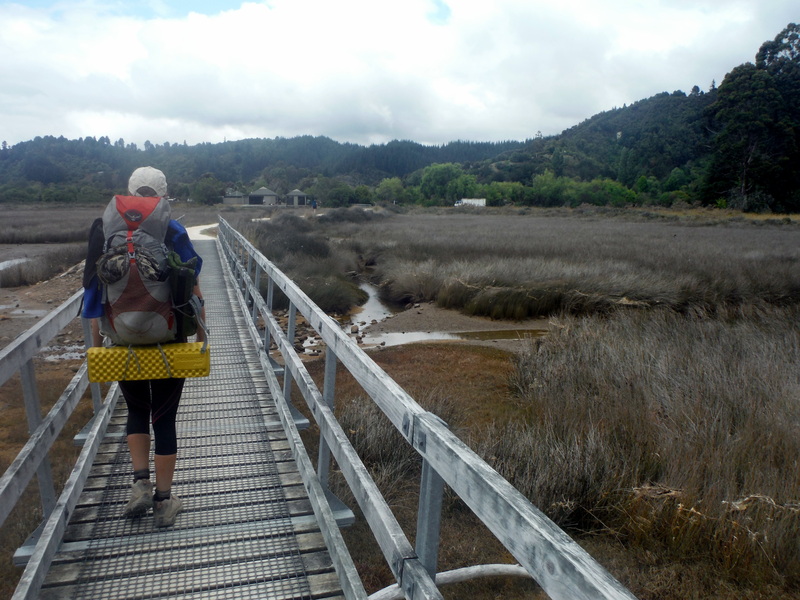 And then it was time to cross the final estuary over another beautiful wooden boardwalk. Tom’s sister and parents were waiting for us there, and I wasted no time in taking off my boots in celebration. Together again, our group enjoyed a last lunch before saying our goodbyes. Tom’s brother Jacob and his girlfriend Ursula were headed back to their home in Melbourne; Tom’s sister Sarah was meeting a friend to celebrate New Years in a nearby town; Tom’s parents would stay the night with their friends outside of Kaiteri; and Tom and I had big plans to visit the hot springs in Hamner before returning to Sumner so that I could begin my long journey back to the States. We posed for a last photo together in the parking lot of the café. One last cone of real fruit ice cream. 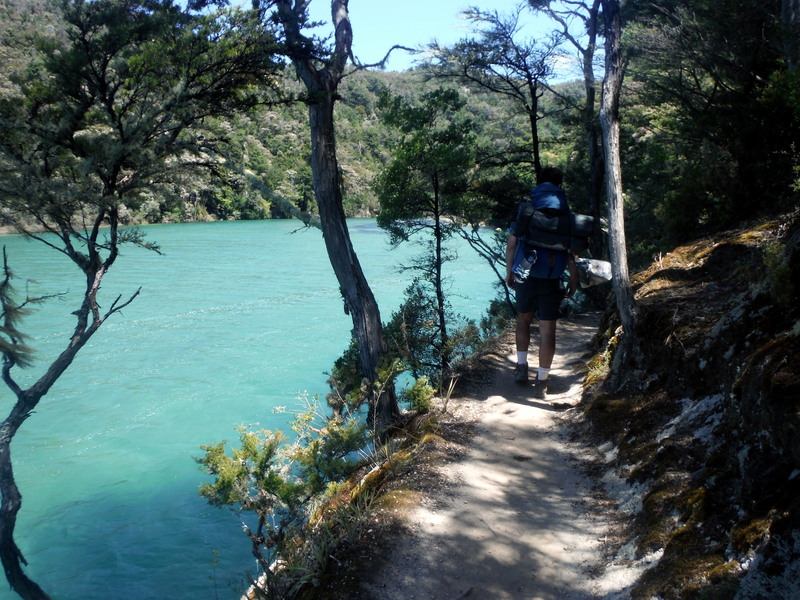 Sounds like an awesome walk!